Jesaiah Alexander was born to Jesse and Adaia Schultz on December 19, 2014. He was diagnosed with a neural tube defect called Anencephaly at 13 weeks gestation. Anencephaly is a defect that doctors define as “incompatible with life”. Meaning a baby diagnosed with this defect has a high probability of death shortly after birth if not miscarried or being still born. There are very few cases where a child lives more than just a few hours or days but, those cases do exist. A couple are baby Angela Morales [13 months as of 4/2015] and Jaxon Buell [8 months as of 4/2015] (Lissencephaly). Researchers say that this defect, along with other neural tube defects, such as spina bifida, this is caused by the inability for the mother to retain folic acid in her body. At this time researchers do not know enough about this to know how to fully prevent it. Parents in this situation are given the option to terminate their pregnancies since the child will not live. Jesse and I were given this option when we were told of the diagnosis. 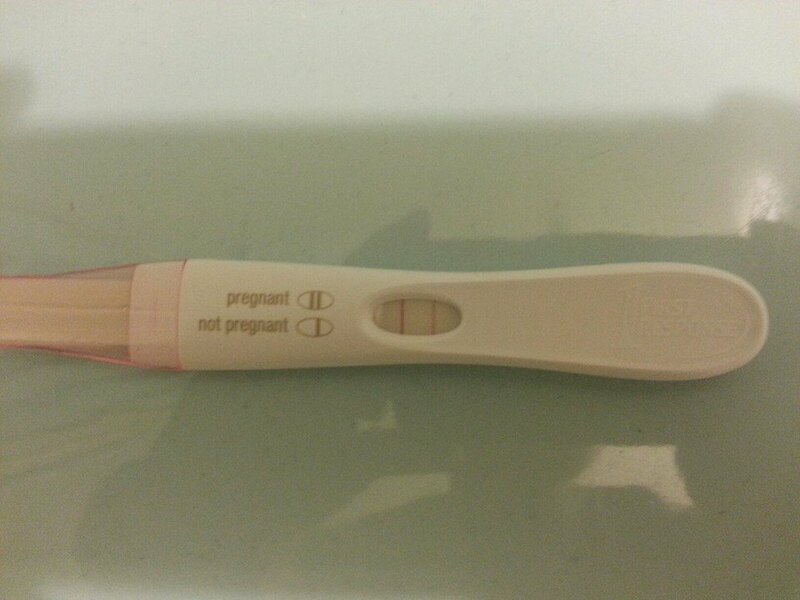 We chose to continue with our pregnancy, giving our son a chance at life. Our son was very loved from the time we found out we were expecting him, till this day. Jesaiah lived for 18 hours outside of the womb and 38 weeks before then. During my pregnancy Jesaiah kicked, punched, rolled and jumped. He even hiccupped (which was not always fun). We were very blessed to have this time with him, to feel every movement. The Lord ordered every single event that happened during his life here on earth. All the struggles we faced when seeking information on Jesaiah becoming an organ donor to switching OB’s at 25 weeks pregnant was a test of our faith and perseverance. We continued to trust in God no matter the outcome. Yes we believe our God is a big God and there is nothing impossible for Him. We believed God could heal our son but, also understood what the prognosis was. It was all in His hands. We knew God loved us tremendously and He had a purpose for allowing our family to go through this so, we trusted and hoped in Him. We knew God was not allowing us to go through this trial to hurt us, we know He has big things planned for us. I know we will see Jesaiah again one day when we are called to be with our Savior. I know he is not suffering, feeling any pain and is without a care in this world. He has received his complete healing with Jesus. This is the promise I hold unto. I pray God continues to use Jesaiah’s story to touch lives and make an impact where it is needed. There is so much more to Jesaiah’s story that can not be told in one setting… Keep reading and share! Today you would’ve been 4 years old my sweet little boy. Today I imagine you being an adventurous and rambunctious little boy. I imagine you being the sweetest most caring big brother to your younger siblings. I imagine you looking up to your big sister Ailani and loving snuggles from her, curling up on her lap. I imagine you being spoiled by and taking rides with your biggest sister to the mall and the park. I imagine you teaching your baby brother all you’ve learned from your brave and strong daddy. I imagine you climbing all over him like your baby sister does. I imagine a pile of kids on daddy in the middle of our living room floor and you being the cause of it. I imagine you wrapping your little arms around my neck, giving me kisses and telling me you love me ” I love you, momma” in a sweet little voice. I miss you. I imagine us complete if you were here among us. All I have of you are memories and what could have been’s. But, I also Imagine you being all those things in heaven. Adventurous, rambunctious, sweet, loving, caring… I imagine you looking down on us knowing you helped make us who we are today, the individuals and the family we are. I love you. There will always be an empty space in my heart and in our home. Until we see you again. I am at a loss for words as I try to write something to help others understand the burden on my heart. Pregnancy and infant loss is life changing. You are torn down and ripped apart. Over. and Over. again. The smallest thing triggers your pain that you so consciously suppressed. Some of us unfortunately do not come to a place of healing after the loss of a child. So many expect you to be able to move on and “get over it” because that is easier said than done. The pressure of “getting over it” often times digs the hole of grief even deeper. People’s thoughtless words and actions don’t help someone reach healing faster. They stab you ten times over and open the wound up again. The loss of my son has changed my life forever. I don’t view things the same anymore. The Lord has definitely used this to give me a more compassionate look at the world. There is still so much I don’t understand and find hard to show compassion for. This is the same for people who have never lost a child, a baby, a pregnancy… This is why people say cruel things, or stand awkwardly after you mention your deceased son/daughter. They don’t understand the depth of your loss or the need for you to mention your baby’s name, to let them know he/she existed no matter how short the time. My goal here is to educate you as best I can and help you to understand what a grieving parent is going through. The pain is like nothing I have felt before. Others say that grieving a child is far worse than grieving a parent or sibling. I, however, don’t particularly like that statement only because death comes to all. Death shows no favoritism. Although I do believe it is different than any other loss I don’t believe it is worse. We all grieve differently and at different paces. Like I stated before not everyone reaches that state of healing. The only way I can express to you how to reach that healing is through Jesus Christ. When the day of his birth came my heart was at complete peace. I was taking it moment by moment. Soaking it all in. I was experiencing the crazy peace and joy that comes from knowing and trusting Jesus. He was with us. My baby boy came fast that night. I experienced the miracle that he was because of Jesus. See my boy had no heartbeat when he made his big entrance. He was not breathing. At this point medical staff were probably instructed not to resuscitate because of his condition. Normally, a parent experiencing this would most likely be angry at the staff and be demanding them to help their child breathe. Honestly that reaction didn’t cross my mind. I believe the Lord had me so calm and had me in a state of waiting so He could show me. I am glad they did nothing to resuscitate… because otherwise I would not be able to give God the glory for what was about to happen. My son took one deep breath and then another deep breath and continued breathing on his own. The people in that room would not have been touched the way they were if it had transpired another way. God clearly breathed His breath of life into our sons lungs. Little Jesaiah continued breathing for another 18 hours. 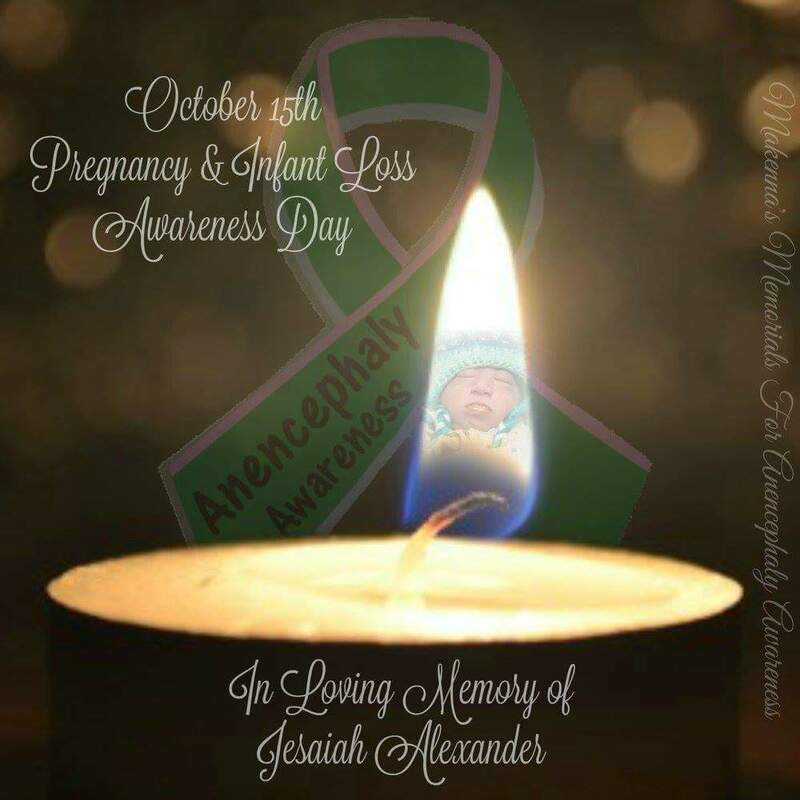 **If you would like to learn more about Jesaiah’s life please read the blog titled “Jesaiah Alexander “. **If you are experiencing the unbearable feeling of losing a baby (infant/pregnancy) and would like support please message me and I will get you plugged in to a support group. You are not alone.If you want to experience healing in your life let me know I would love to introduce you to my friend Jesus, who takes away all sin and conquered death. Today October 15th, 2015 is the first year my husband, my daughters and I, will be a voice in the battle to spread awareness of pregnancy and infant loss. This is for families every where who’ve lost babies no mater the gestational age, hours or days. God has entrusted our family along with many others to bring this knowledge of one of the most uncomfortable and painful subjects known to our society… pregnancy and infant loss. The reason I speak so freely of my Jesaiah is so others suffering this unthinkable burden of loss know that they are not alone. Sometimes we think not talking about our babies is better for everyone, when truth is, it is destroying you on the inside… it may help others not feel uncomfortable but, it’s ripping your heart apart every moment you’re silent. I know… it happened to me. Until, I realized keeping my babys memory alive was what was helping me heal, it hurt and it hurt bad… the silence hurts. I chose to break that silence. If I have ever made you uncomfortable by talking about my late son..I am sorry but, I am not. If ever you have asked me “how many kids do you have?” Or “I thought you were pregnant?” I have answered you truthfully and told you about my babies in heaven along with my beautiful daughter. I know it has made you uncomfortable… I can see it in your face… the look in your eyes. I am sorry but, I am not. You may say or think “how insensitive of her to say” and that is your opinion but, put yourself in my shoes… If talking about my late son means healing for my family and I… I am going to do it. I am willing to make you uncomfortable to break the silence. To show the 1 in 4 women and their spouses that have suffered pregnancy and infant loss that talking about it is ok. So many parents suffer in their own anguish so as not to make people uncomfortable… well not me. I am speaking out for all those who can’t because of their pain or fear of judgment. If you find yourself in that statistic just know you are not alone. God is good and will work all things out together for your good. The pain seems unbearable but, with Christ we can do all things. My Jesaiah left us 12-20-14, (10 months ago) and 8 months (8-20-15) later I miscarried my 4th baby. I also miscarried my very first baby. My second baby is now a beautiful 8 year old girl. Stay strong keep your head up. It’s ok to talk about it. As we approach Mother’s Day I can honestly say I have mixed emotions. I am thrilled to …really… celebrate my children because they are the ones who have given me the title of “Momma” and I am beyond blessed to have my sunshine Ailani by my side. Although, I know that not all bereaved momma’s have the privilege of already having the gift of a child, it still isn’t easy to know I should be holding another in my arms. I have struggled with that thought today especially. I am not sure why but, I have. I have thought of the little hands I do not get to hold, the cheeks I do not get to kiss, the bottom I do not get to wipe and the cries I do not get to hear. Today I feel like I want that more and more. I have been asked the question “do you plan on having more children…” by many and my response has been “yes I do but, some days all I want is my Jesaiah”. I know that no future children will ever replace him but, I crave that connection to be able to hold and care for this little fragile being…MY little fragile being. I am not sure how this Sunday will go… my first Mother’s day without Jesaiah. I do, however, know that I will chose to focus on the memories of my boy and celebrate his and his big sisters lives and not my loss. I am keeping my eyes on my God that has promised me a land flowing with milk and honey. Although, I may not fully understand why God chose my family for this I know He is faithful and will come through in His perfect timing. I am praying and thinking of all the mommies that have experienced this terrible loss, and the women who yearn for that connection and can’t ever experience it. Keep your head and eyes up, focus on your blessings and not your circumstances. God will come through. I pray for peace, joy and comfort always but, especially this Sunday. I know we do not like to be told this but, there is always someone worse off than we are. Friends and family I do not say this for me because you all have shown me so much love and support already and have remembered Jesaiah’s name but, I say this for any other mothers you may come across whose arms are empty like mine. I ask that you remember their beautiful children no matter how long ago it has been and honor them as a mother, although they don’t have a child in their arms to prove they earned that title. This is not a path we chose to take or group we chose to be a part of but, it’s a truth we must face. There is no other choice but to move forward. Keeping in mind that moving on and moving forward are two very distinct things. God bless you all and Happy Mother’s day. It was 4 days after my missed period and I was feeling most of the symptoms…I did not get the nausea most women get but, I was very tired and other symptoms that gave me the suspicion I was pregnant. Your daddy and I had been trying for a few months before then to conceive. We were not really getting anywhere…nothing was happening. Daddy and I were afraid to get too excited because we felt that disappointment every month prior. Well, I took it and immediately saw the double lines…my. heart. jumped. I knew it! I was right! I came out of the bathroom nonchalantly and your daddy had a look of expectancy…the “well?? ?” look. I simply told him to go look and he did… he saw it too! He was sooo happy! WE were so happy and excited! Celebrating that day as the beginnings of your precious life…and the beginnings of a journey we had no Idea was in our path. That day we had no Idea what the Lord had in store for us, had no idea how much you would change our lives and we had no idea how special you would be. Love you always my boy and missing you terribly. I woke up stressed out that day from the evening before. I had spent that previous evening at the hospital being monitored for my high blood pressure. My blood pressure sky rocketed after having an argument with the doctor about inducing me. I did not want to be induced because I trusted the Lord would make you come on His terms not the doctors and I wanted to be sure you cooked in there as long as you possibly could. My blood pressure issue continued through the night and I was not able to rest but, I got up anyway and got ready for work. I continued to monitor my BP through the morning at work hoping it would go down so the doc didn’t have to induce me. It continued to stay in the 160/ 90’s. Then, the discomfort came and the pain slowly creeped up in my abdomen. Your daddy and I decided it would best to go home and relax to try and bring my BP down and avoid being induced. So, I prepared my work to be handed to the person covering for me. I made sure my out of office was set before I left. However, at this point I was still in denial and thought I would return to work that Monday. I made it home and instead of laying down to relax I began to pack our bags. The pain and discomfort got worse and I knew that if the doc was not inducing me, you were coming on your own. So I packed my bag, yours and your sisters. Your daddy got home a little after me and he got to cleaning the house ( I think he went through the nesting phase for me). We decided to wait for your big sister to get out of school and then we would head to the hospital. I was supposed to go up there that day anyway to be monitored.